As you all probably already know, Benefit is one of my all time favourite makeup brands so I was ecstatic to be able to try and review their latest releases for you. 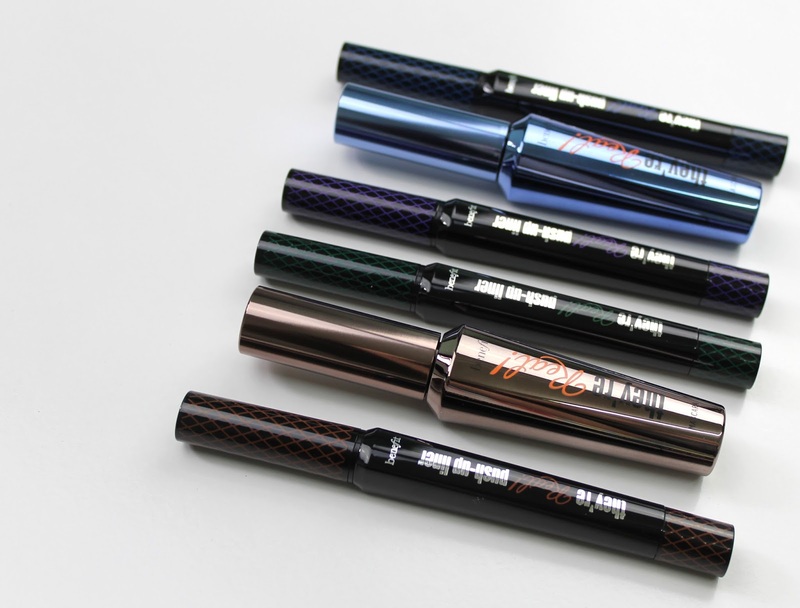 I have been a devotee of the They're Real Mascara for a very long time so I was very keen to try out the coloured versions. The first thing you need to know about these new mascaras is that the formula is just as awesome as the cult classic original! 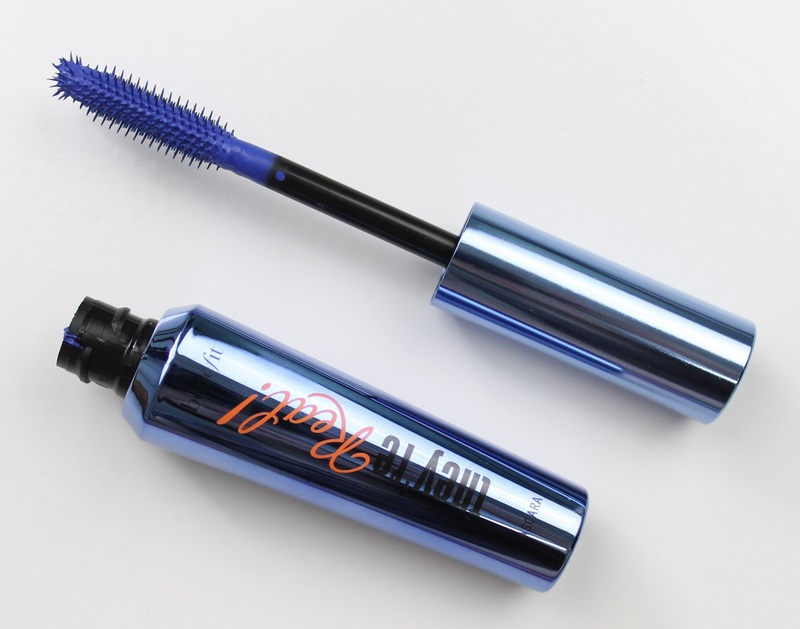 It lengthens and volumises to the max which is exactly why They're Real is my holy grail mascara. 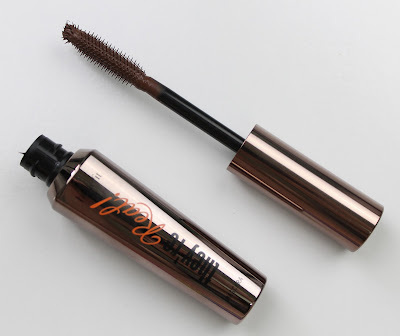 The brown shade is definitely not a typical brown-black mascara colour, but instead is a purer and lighter brown. It is definitely something a little different and I quite like wearing it on lighter makeup days. It would also be great for blonde girls with fair lashes who maybe don't want the intense black look. The blue shade is a great electric blue that just screams 80's disco in the good, nostalgic kinda way. I have seen a few blue mascaras that lean more towards navy over the years but this is one of the best vibrant blue shades I have seen. It also isn't as crazy and unwearable as you might think. Blue mascara has been undergoing a sort of runway renaissance since 2012 with Stella McCartney's winter show. It is certainly great for a little something different, either for a night out or as a day look for the more adventurous. As you can see from these photos it definitely performs well, giving me tons of length and volume with just two coats. If you have every tried the Benefit They're Real mascara before you will know to expect great things from these coloured ones. Trying these out just makes me wish they made it in the deep purple too. Left to right: Beyond Blue and Beyond Brown. Sorry about the squinty eyes! I have to face into the sun to get a good photo but it blinds me, haha. I did try the black formula when it was first released and will admit that I wasn't the biggest fan. While I absolutely LOVED the rubber "AccuFlex" tip, I found the gel liner formula quite dry and hard to work with. I definitely wasn't the only one either as you will probably know from the mixed reception it received. Now, I have already said that I absolutely love Benefit and the liner is the only product I tried that I have mixed feelings about but it's not all bad! 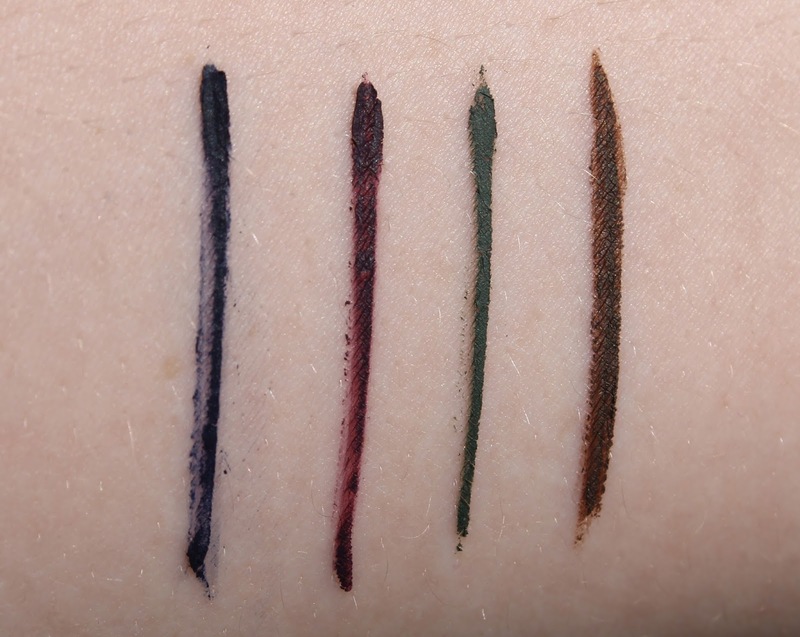 Te gel formula has a lot of plus sides as it is long wearing, smudge-proof (seriously you can rub your eyes and it won't move) and it also has a gorgeous matte finish compared to a traditional liner. It is also really, really long wearing and honestly an absolute mission to get off so definitely make sure you have an oil based eye-makeup remover on hand before you put these babies on. That being said though, if you have oilier lids and constant issues with smudging or disappearing liner the long-wearing, difficult to remove formula is going to be a huge plus for you. As for the new colours, there is no denying that the shades are absolutely lovely! I particularly love the purple shade and also the green because it is the exact same colour as the Arrow suit and I am such a fangirl for Oliver Queen! These swatched quite nicely but I did have some trouble with the blue for some weird reason. Honestly, it was impossible to get a nice opaque swatch line let alone a good application on my eyes as you will see in the picture below. Unfortunately there is just something off about the blue formula which makes it really dry so it just balls up and won't apply smoothly. I did notice that Sharon the Makeup Artist had troubles with her blue liner too so it is the only one I wouldn't recommend. The rest were perfectly fine though and while they are much dryer than I'm used to, with a bit of practice and a much faster application than a typical liquid liner, you are able to get a nice smooth line. Weirdly, the brown was AMAZING! It was consistently a dream to apply (see beautiful crisp flick below) and the quality of the brown formula kind of makes me want to go back and try the black again. I am so surprised that all the different colours seem to have a different consistency but they are all very workable, except for the blue. I definitely disagree with Benefit with their claim that these gel pen liners make eyeliner easier than other techniques (except maybe for the brown one) but with a bit of practice and adapting they look lovely. I am generally horrible at winged liner so if I can get it right eventually, so can you! Plus I really have the feeling that most people who buy these coloured liners will use them for parties or special occasions where you can spend a little more time and effort getting them right, rather than rushing to get that crisp line in the morning before work/uni/school. Left to right: Beyond Blue and Beyond Brown. The best and the worst formulas. Left to right: Beyond Green and Beyond Purple. Like the original black formulas, the They're Real mascara definitely out-performs the liners but I still think both are good products. They're Real liner will always be a huge favourite of mine, no matter the colour, and I would absolutely recommend them in a heartbeat. As for the liners, if you struggle with eyeliner generally or want something quick and easy to apply I would say that these They're Real liners aren't for you. On the other hand, if you are looking for long wearing, punchy liner shades for a night out or even editorial/costume work you should definitely give these a go. 2 comments on "Review: Benefit They're Real Coloured Mascara and Liners"
I love the purple as a colour but the texture is really really dry and difficult to get out.